My cough is finally on its way out from my system. Thank god!! I’m sure Hubbie and Bella are secretly rejoicing it as well. Who would like to be awaken in the middke of night with thunderous coughs? If they were coming from Hubbie, I would have evacuated from the main bedroom and slept on a daybed (kidding!). 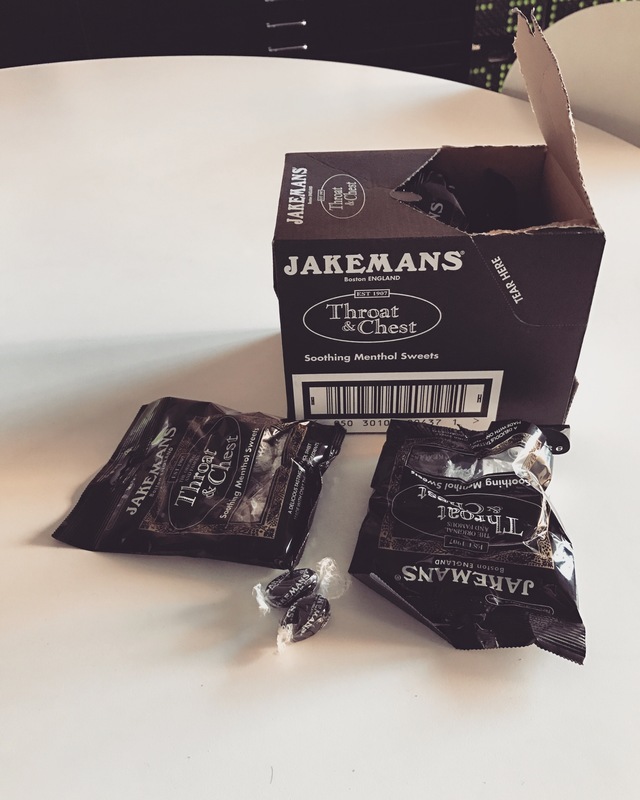 During the depth of my despair with the lingering coughs, my fellow blogger, Wendy, recommended me to try Jakemans lozenges. ‘Why not? It will be nicer than syrop or tablet.’ So I clicked a “Buy Now” button in Amazon app and waited. The quickest delivery option was via Amazon Prime and they arrived in a box with 10 bags of sweets. I unwrapped one of the ebony black lozenges which were wrapped individually in an old fashioned manner and tasted it. Hmmm…, it can be an acquired taste, I thought as I carried on rolling the lozenge on my tongue. If anyone like me, who loves liquorice, they will love the drops. The sweets are certainly strongly minty and herby but the strength of the flavours was exquisitely restrained. As a result, these passitilles are very moreish. And for the most important point, does it work for my cough? The mintiness definitely calms down my over-sensitised throat. It feels like I have more air in my lung and less painful even if I have to cough. All in all, the lozenges are absolute thumb up. 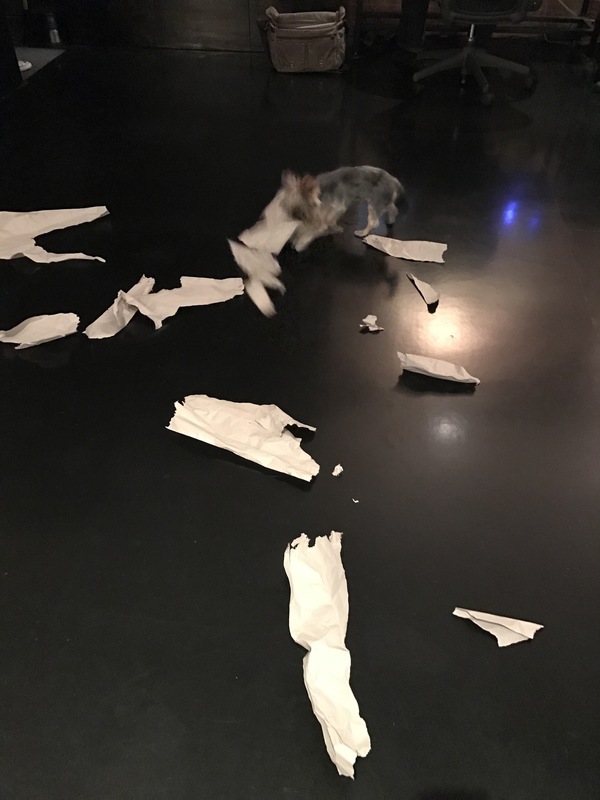 She loves shredding a brown stuffing paper comes with an Amazon delivery. Anyway, thank you for the recommendation, Wendy! That is the only downside!